A new podcast from the Religious Studies Project (supported by the BASR) features Laurence Cox discussing Dhammaloka, the Irish encounter with Buddhism and dissident Orientalism. Just over 36 minutes long. A trailer for the Dhammaloka documentary “The Dharma Bum” is now out at http://www.thedharmabum.eu/blog/new-animated-trailer . The film, scheduled for release in 2016, uses some beautiful animation to tell the story of Dhammaloka, and the search for Dhammaloka. You can support the project here. You can help make the project a reality by contributing here or telling people about it. Thanks! The new issue of the British Association for the Study of Religion’s journal DISKUS, just published, includes an article by Brian Bocking, Laurence Cox and Yoshinaga Shin’ichi showing that the first Buddhist mission to the west was not Ananda Metteyya’s 1908 mission to London (as traditionally thought) or the Japanese missions to California from 1899 on (highlighted in more recent scholarship) but the 1889 – 1892 mission of the Buddhist Propagation Society in London, led by Irish-born Capt. Charles Pfoundes. The research includes Pfoundes’ biography, the Japanese background to the mission, the London world of public debate within which it took place, Pfoundes’ approach to Buddhism and the difficulties of being the first missionary, the conflict with Annie Besant and Theosophy’s claim to represent “esoteric Buddhism”, and possible traces left by the mission. The article is open-access and can be read online at http://www.religiousstudiesproject.com/DISKUS/index.php/DISKUS/article/view/51/44 with a link for PDF download. It includes original copies of the flyers for the Society and for some of Pfoundes’ public talks as well as excerpts from newspaper accounts, reports by Pfoundes to his Japanese sponsors and accounts by Japanese visitors – bringing to life a lost world and the extraordinary moment when Buddhist missionaries first grappled with the question of how to speak to western audiences. This site now includes a new page dedicated to material dealing with Pfoundes. Film-maker Ian Lawton is planning to make “The Dharma Bum”, a feature-length documentary about Dhammaloka’s life and the detective story of how we have been uncovering it. Parts will be animated (!) by Paul Bolger and there will be a soundtrack by Mumblin’ Deaf Ro. The project is being supported on the world’s first Buddhist crowdfunding website dana.io, set up by ex-bhikkhu and journalist Ian Clements (editor of Aung San Suu Kyi: the voice of hope). Gifts run from copies of the film for as little as €1 / $1.26 via signed copies of the special issue of Contemporary Buddhism that uncovered Dhammaloka’s story and the book Buddhism and Ireland, up to the chance to take part in the movie, along with more familiar gifts such as T-shirts, soundtrack CDs etc. For more information on the project please see https://dana.io/thedharmabum. In the late 19th and early 20th centuries, Buddhism in Asia was transformed by the impact of colonial modernity and new technologies and began to spread in earnest to the West. Transnational networking among Asian Buddhists and early western converts engendered pioneering attempts to develop new kinds of Buddhism for a globalized world, in ways not controlled by any single sect or region. Drawing on new research by scholars worldwide, this book brings together some of the most extraordinary episodes and personalities of a period of almost a century from 1860-1960. Examples include Indian intellectuals who saw Buddhism as a homegrown path for a modern post-colonial future, poor whites ‘going native’ as Asian monks, a Brooklyn-born monk who sought to convert Mussolini, and the failed 1950s attempt to train British monks to establish a Thai sangha in Britain. Some of these stories represent creative failures, paths not taken, which may show us alternative possibilities for a more diverse Buddhism in a world dominated by religious nationalisms. Other pioneers paved the way for the mainstreaming of new forms of Buddhism in later decades, in time for the post-1960s takeoff of ‘global Buddhism’. The contents of this book were previously published as a special issue of the journal Contemporary Buddhism. This book format publication makes these stories available to those who do not subscribe to the journal. Please consider asking your library to purchase a copy of the hardback: if there is sufficient interest the publishers may make the book available in a cheaper paperback format. Brian Bocking is Professor of the Study of Religions at University College Cork, Ireland, and formerly Chair of the Study of Religions Dept. at SOAS, University of London. 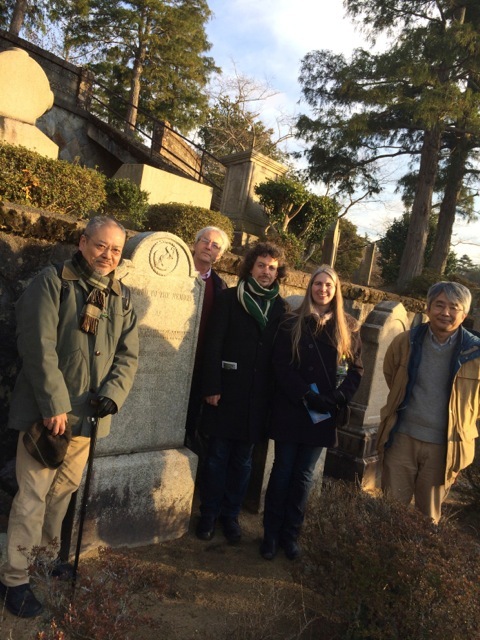 He has published mainly in the field of Japanese religions and is currently researching early Irish Buddhists. Phibul Choompolpaisal is Research Associate in Thai Meditation Texts at King’s College London, UK. He is author of several articles on Thai Buddhism in the early modern period. Laurence Cox is Lecturer in Sociology at the National University of Ireland Maynooth, Ireland. He is author of Buddhism and Ireland (2013) and has published widely on social movements. He is currently working with Brian Bocking and Alicia Turner on the strange lives of U Dhammaloka and Capt. Charles Pfoundes. Alicia Turner is an Associate Professor of Religious Studies in the Humanities department of York University in Toronto. She is the author of Saving Buddhism: Moral Community and the Impermanence of Colonial Religion (forthcoming) and editor of The Journal of Burma Studies. Newstalk’s “Talking Books” programme included an interview with Laurence Cox about the book Buddhism and Ireland on Sunday 13th April at 7 am. It is available as a podcast here (starts about 6 minutes in). Laurence Cox’s TCD Long Room Hub lecture “A dissident Orientalism? Irish Buddhism in European perspective” is now available as a podcast in itunes format here.